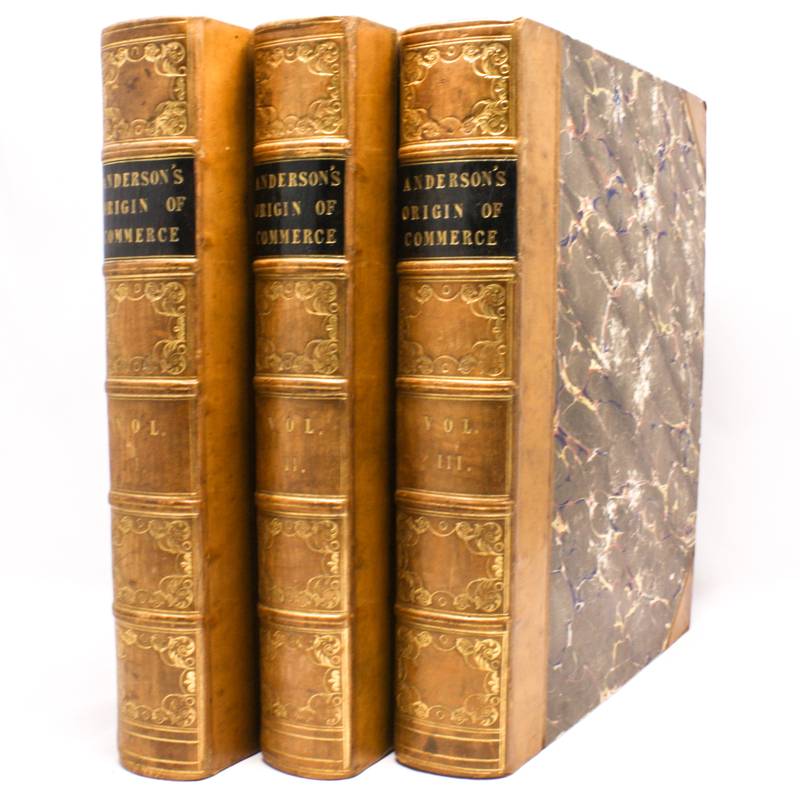 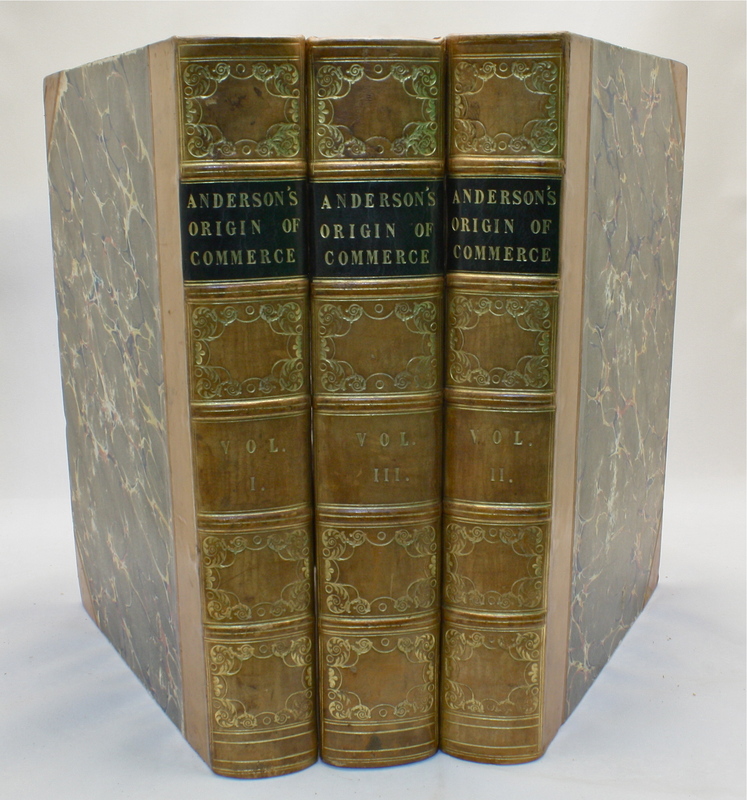 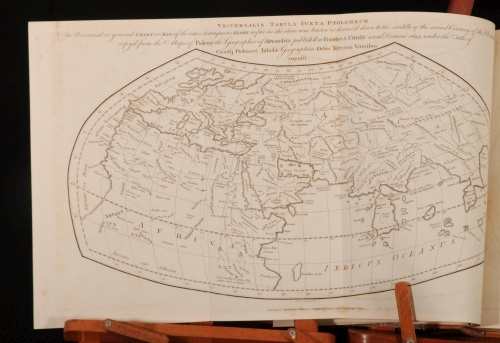 Anderson's Origins of Commerce - IFA Vintage and Current Book Library - Index Fund Advisors, Inc. 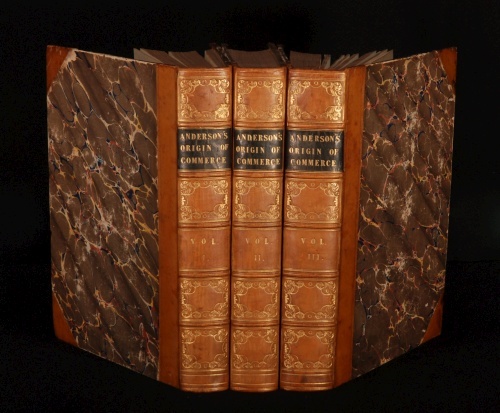 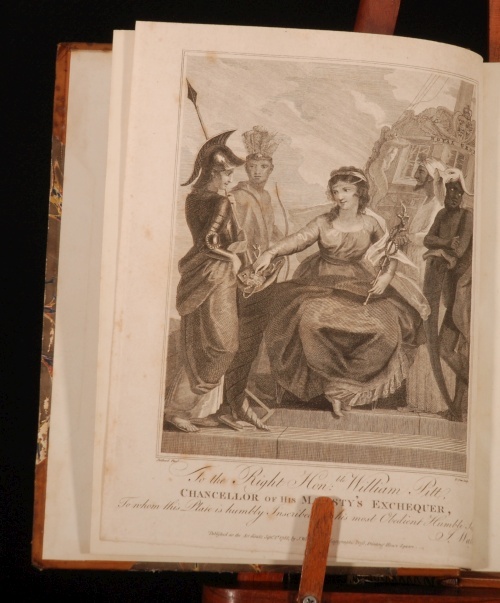 There is a Couthart of Coulthart and Collyn bookplate to the front pastedown of each volume. 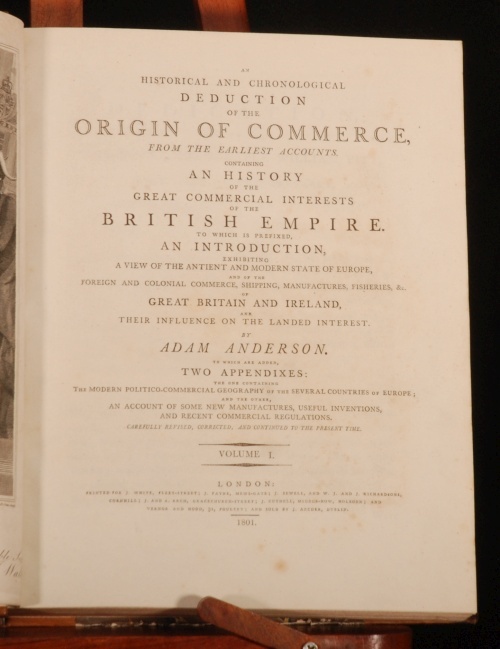 Adam Anderson (1692–1765), was a historian of commerce.